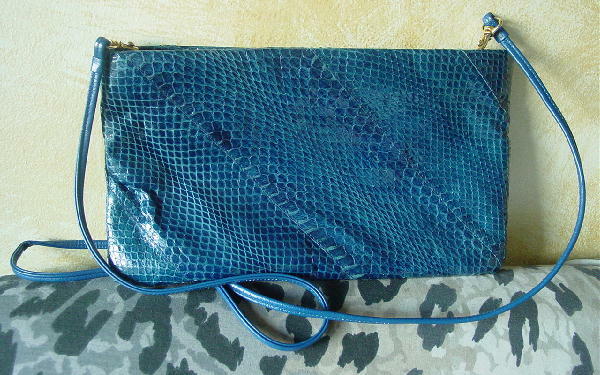 This multi-tone blue vintage snakeskin purse is by Cadaz. It has a 47" long by 1/4" wide bright blue shoulder strap, which has two gold-tone hooks, so you can remove the strap and carry it as a clutch or add your own gold-tone chain. The lining is in a black grosgrain fabric with an interior zippered pocket. It has a top side to side zippered opening. 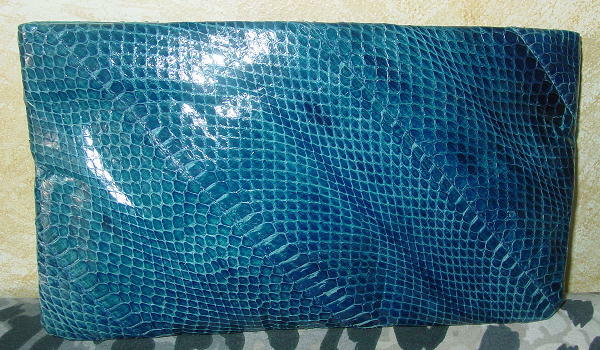 It's nice snakeskin and a great color. It's from a Spanish model.